The Moonshae islands are located off the Sword Coast, in one of the most popular fantasy settings for D&D: the Forgotten Realms. This was inspired by the cover of the Moonshae booklet published in 1987 by TSR. The original cover art was by Tim Hildebrandt. The oak trees are a superb model by Frédéric Bec. 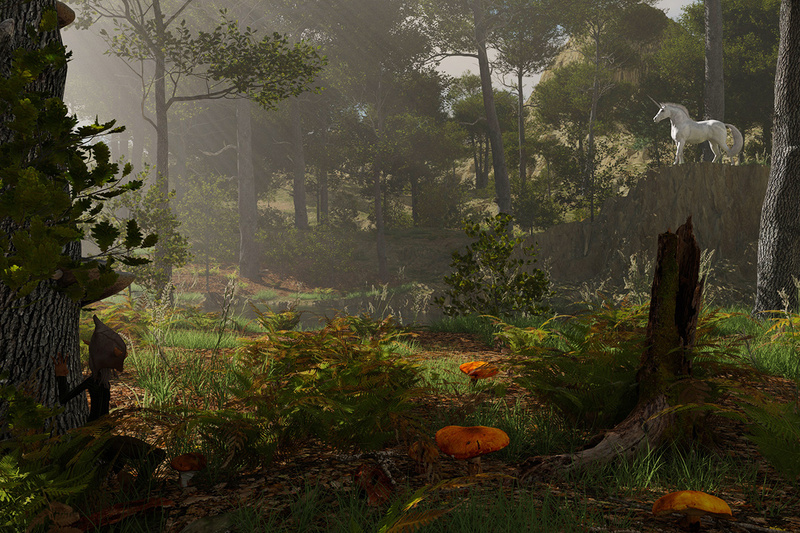 Many assets are from the Megascans meadow biome series. The ground textures are made with Quixel Mixer.